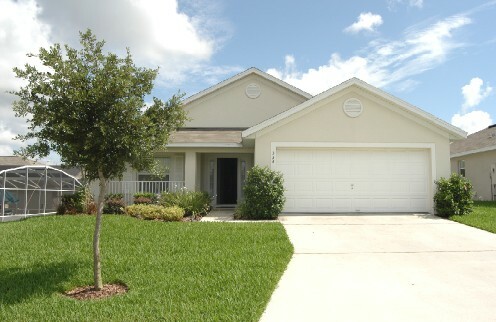 Our beautiful 4 bedroom, 3 bathroom Florida villa is situated on Florida Pines, just 15 minutes away from Disney and 35 minutes away from Orlando International Airport. 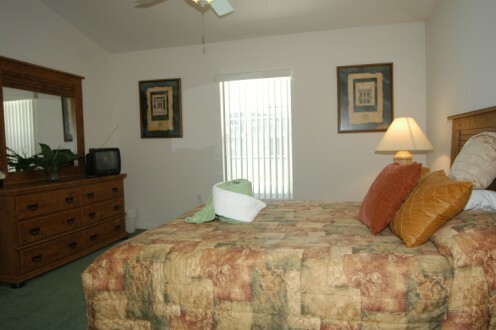 Both Master bedrooms overlook the pool area and are fitted with dressers, bedside tables with reading lamps, cable TV, phone and clock radio. One has a King size bed and the other a Queen size bed. Each has a large walk-in closet. The en-suite bathrooms feature walk-in showers, large vanity area with shaver point and hairdryer. 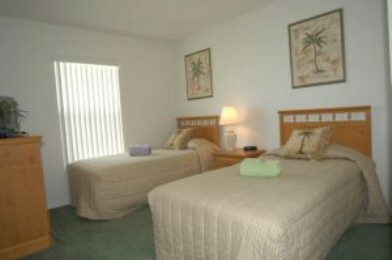 Both twin bedrooms are furnished with two Twin size beds, bedside table with lamp, cable tv and clock radio. Each has a large built-in closet. Bedroom 3 has a Playstation 2. Both bedrooms have direct access to the third adjoining bathroom. The spacious Family room is furnished with a Three seater sofa, a two seater sofa, armchair & coffee table. 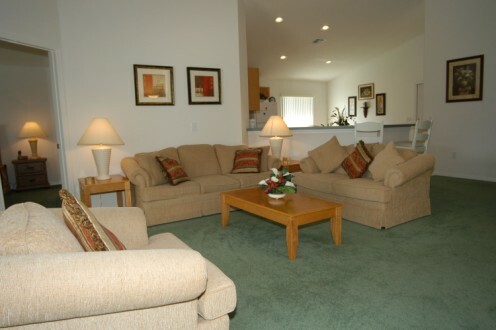 It is equipped with a Large Cable TV, DVD and CD/Hi-Fi system. A collection of games, DVDs and books are provided for your enjoyment. 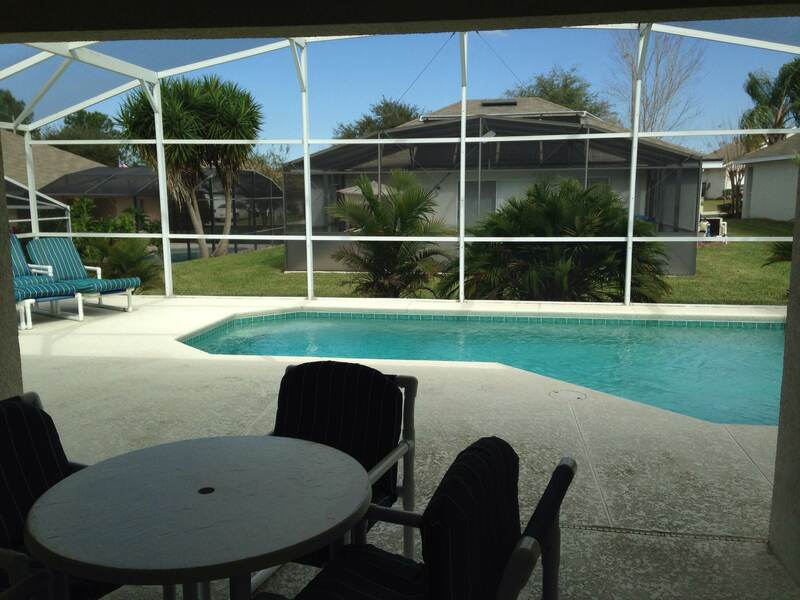 Large patio doors lead to the Covered Patio/Lanai and pool area. 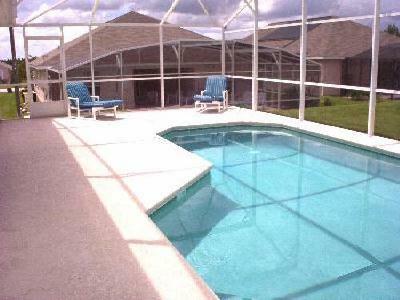 The Larger than average screened Pool is heatable, with underwater lighting for nightime swimming. The Extended Decking provides you with extra space around the pool area. 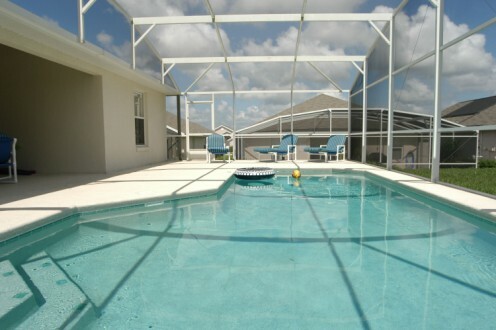 Sun loungers are provided for you to relax and enjoy the Florida sunshine! 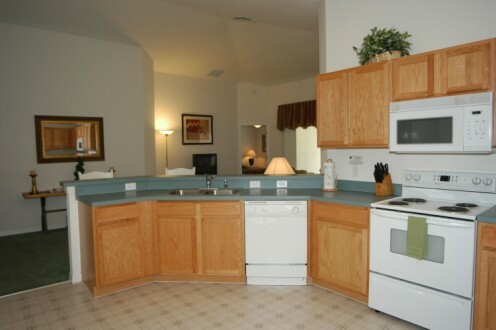 The fully fitted kitchen is equipped with everything you would need during your stay. This includes a fridge/freezer with icemaker, microwave oven, full size oven and hob, dishwasher, waste disposal, coffee maker, toaster, kitchen utensils and a full range of crockery, cutlery and glassware. An iron and ironing board are also provided. 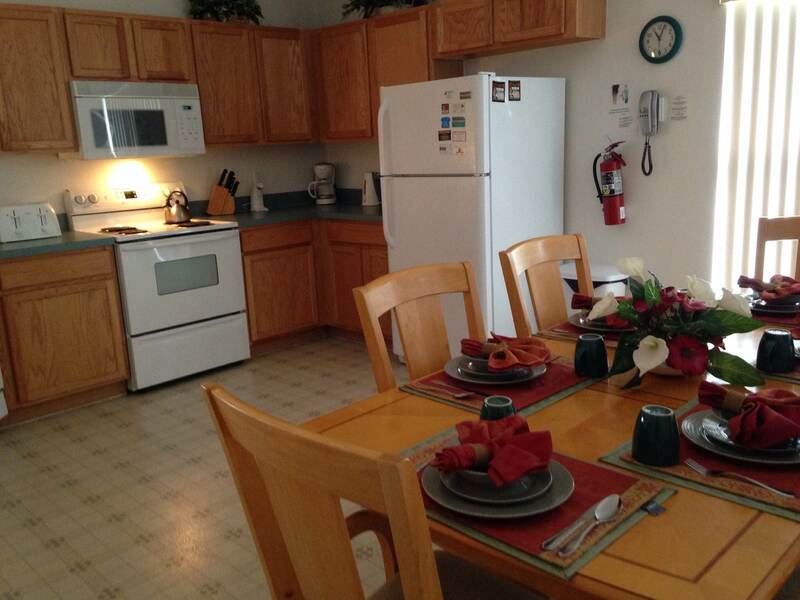 The dining area is furnished with a large dining table and chairs.